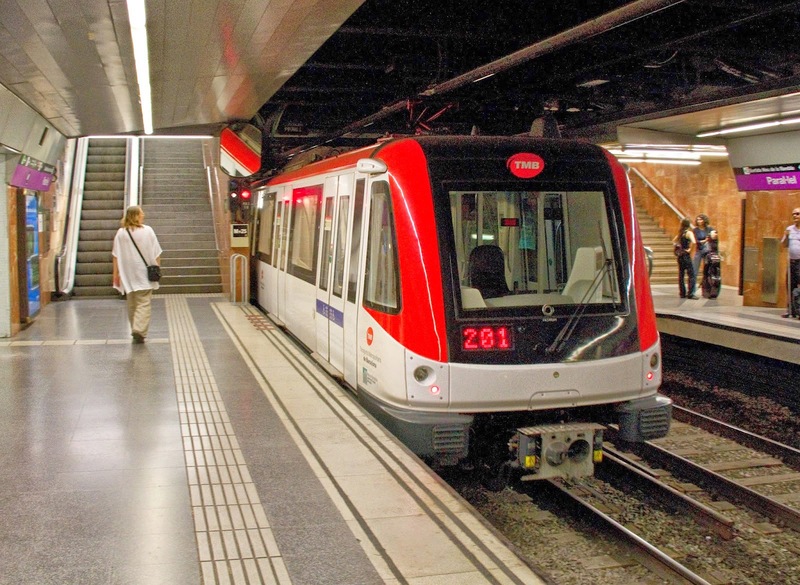 Would you like to discover Barcelona city by metro and subways? It's the fastest way to pop in the city! In Barcelona there are many different ways to travel around the city. In this article we will try to present some options about metro transportation. Public transportation by metro in Barcelona is really easy and fast. Metro has got plenty of lines passing through many districts of the city. 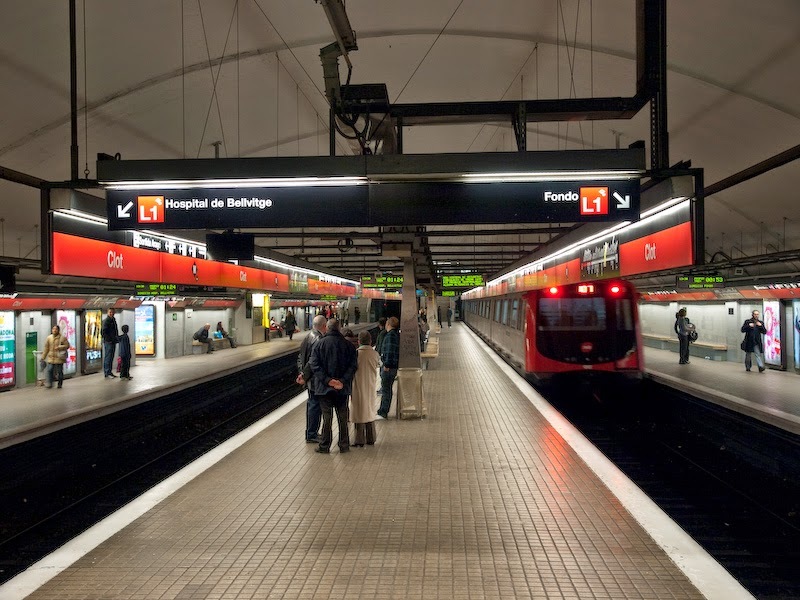 In Barcelona, public transportation is run by TMB which is official transportation company and if you buy your ticket from there you can use these tickets for nearly all public transports. Here below a map of Barcelona metro (subway) lines. How will you read the map? We will give some information about the map. The black circles on the map show the hubs in which you can change the station. As we mentioned in bus transportation, you can purchase Barcelona Travel Card for 2 to 5 days and travel unlimited. If you get in metro, it will take around 2 minutes for each stop and also 10 extra minutes if you transit another metro. If you add your waiting for 5 minutes then you can estimate your travel by metro so that you can't waste your time. What about the metro ticket fare? You can buy your tickets individually which is €2.15 but you may select different travel tickets options as we mentioned before in bus transportation article. When you travel in Barcelona you and your friends in your group can use the T10 card at the same time. For instance, you a single person buys a T10 card and put the card into machine then pull it out completely. After that your friend will do the same and etc. I mean more than one person can use the card at the same time and the card will count this as separate journey. So if you travel in group one card will be enough for your trip. The cards are available whole year until a new price list is announced. Then you have to renew your travel card. Please note that you can use your T10 card for your separate journeys in different public transportation at a time but do not forget that your whole journey from bus to metro for instance shouldn't exceed 1 hour and 15 minutes. In that time you can start your travel by metro then jump into bus and finish your trip on the bus. You can not use your single ticket for different transportation options in the defined time above. Metro service time schedule is shown below but please remember that if there is a holiday or fiesta, metro running time may change so it's a good idea to check the times beforehand on ticket booths at metro stations. All places are in Barcelona city is Zone 1 and if you want to go out of the city then you may pay more than the prices we mentioned before. From 0 to 3 years, travelling by public transports are free. Where you can buy public transport tickets? There are various places to be able to purchase the tickets. Tobacco and new shops where you can buy only single or T10 tickets. Machines at the metro stations where you can pay by coins, credit card or bills.